Let’s talk about life’s simple pleasures. There isn’t much that is wrong with the world that can’t be made a little bit better with chocolate. 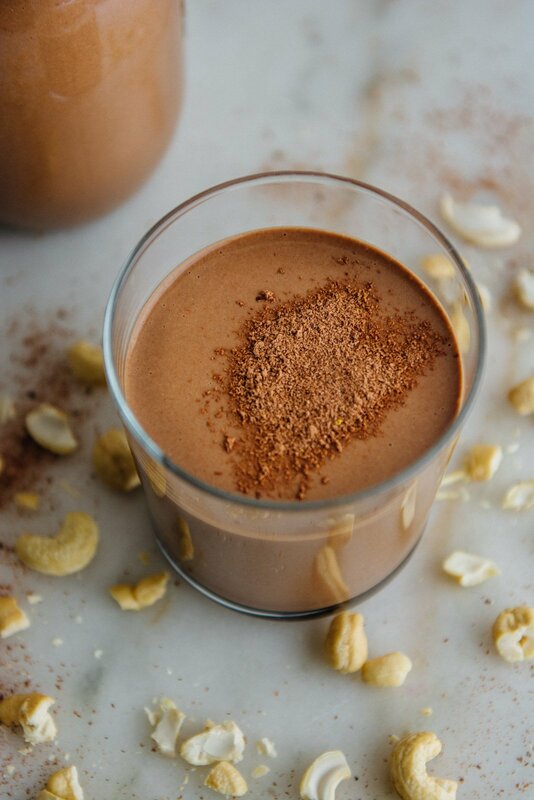 I love chocolate, and even when I’m trying to eat more fruits and vegetables and cut down on processed foods, I don’t give it up. Everything in moderation right? 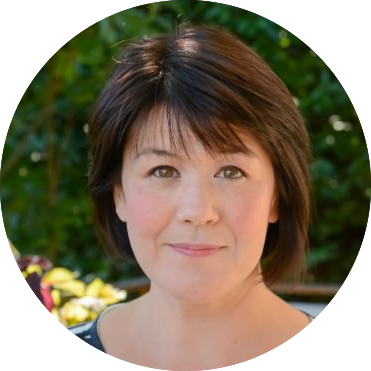 Since my son was diagnosed with a dairy allergy, it was relatively easy to switch over to almond or cashew milk. The one thing Ben missed the most of all the dairy related things he loved was chocolate milk. He always looks longingly at his favorite brand whenever we are at the market and cries about how much he misses it. That was until we started making our own chocolate milk at home. 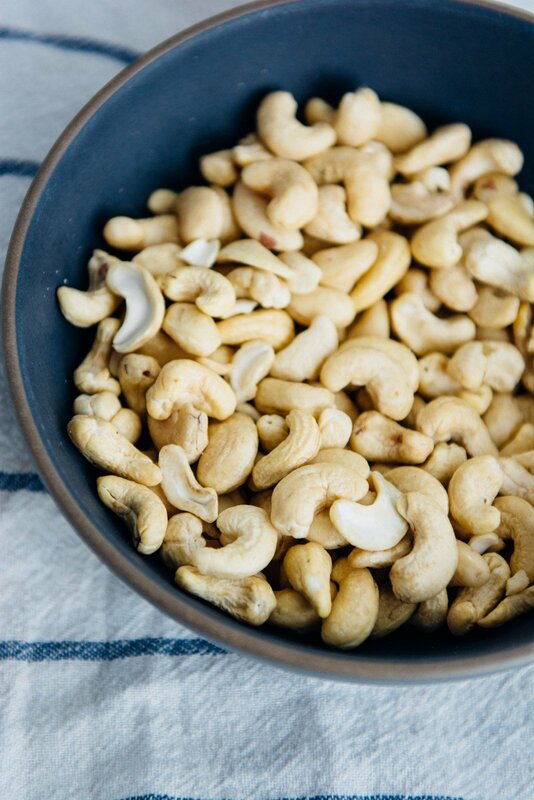 Cashew milk is the easiest of all nut milk to make because it doesn’t require any straining or cheesecloth. If you pre-soak the nuts, they blend down into a creamy, decadent blend richer than any milk from a cow could ever hope to be. And so easy. The only drawback is that it has a relatively short shelf life, so you have to consume it within 3-4 days. If it lasts that long, it never lasts more than a day in our house. However, you can freeze the milk and defrost it overnight in the refrigerator. 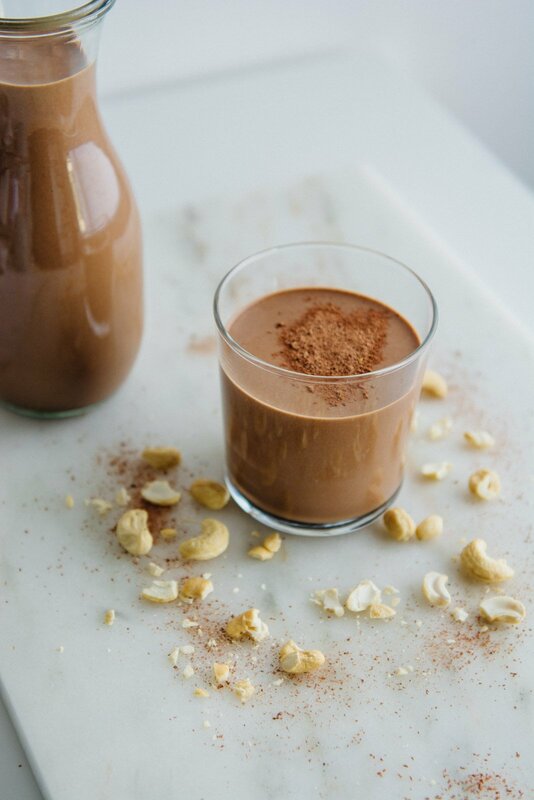 This DIY chocolate cashew milk is dairy-free, refined sugar-free, paleo friendly, and vegan. 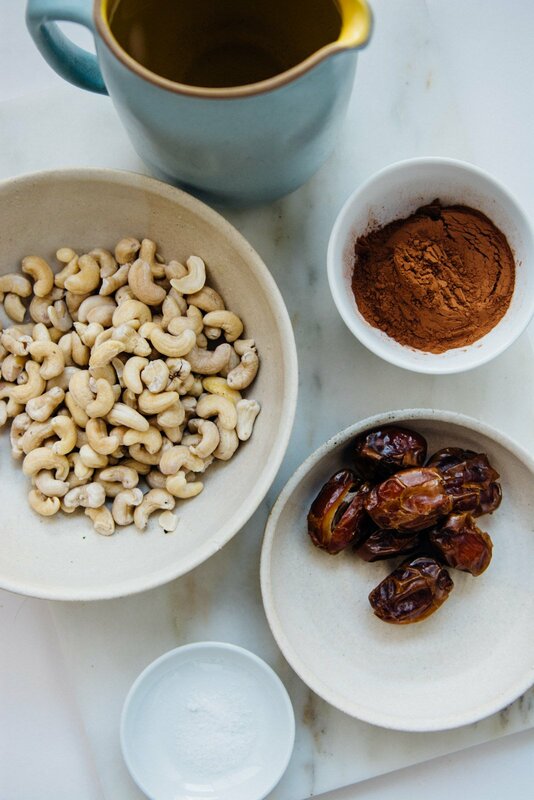 Drain and rinse the cashews under cool running water. 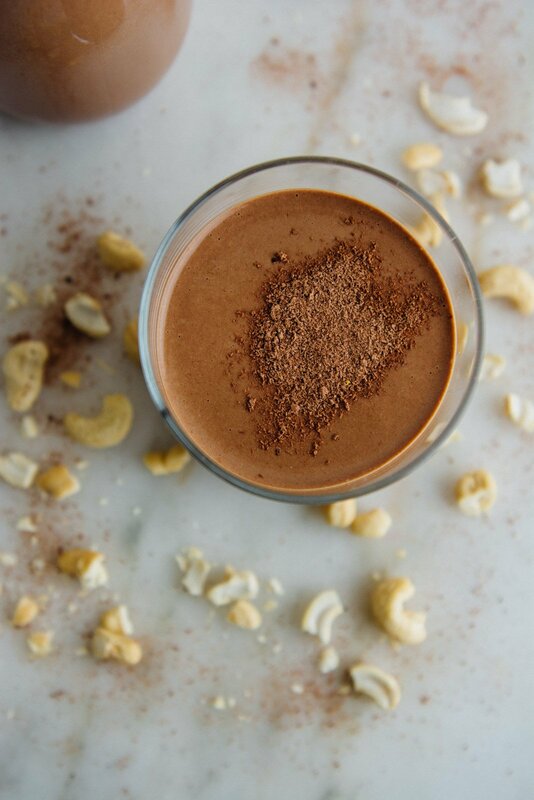 Add the cashews, cocoa powder, dates and salt to a high-speed blender and add 2 cups of filtered water. Blend on high for 1 minute adding more water as needed to reach a desirable consistency. The more water you add the thinner the milk will be, the milk will thicken slightly as it sits in the refrigerator. 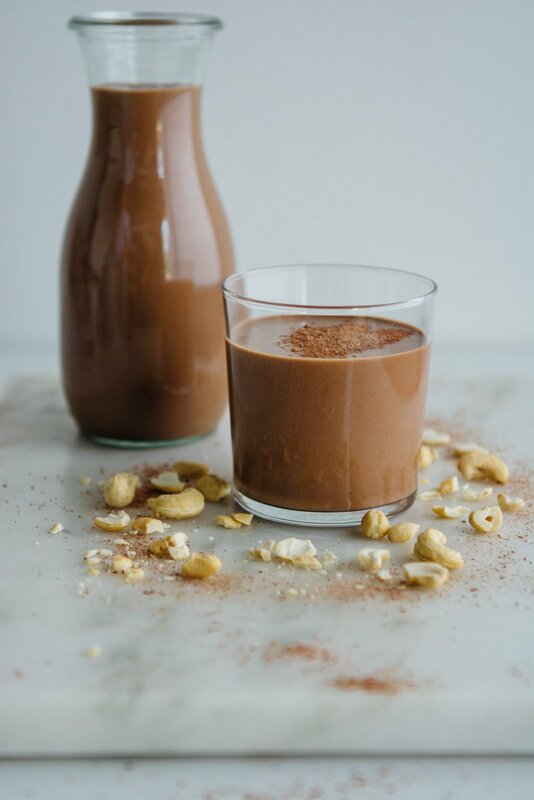 Taste and add the maple syrup if you want a sweeter chocolate milk. To serve, top with shaved dark chocolate if desired. I’m so excited to try this! Do you think a regular blender will work? It does have a “liquefy” button. 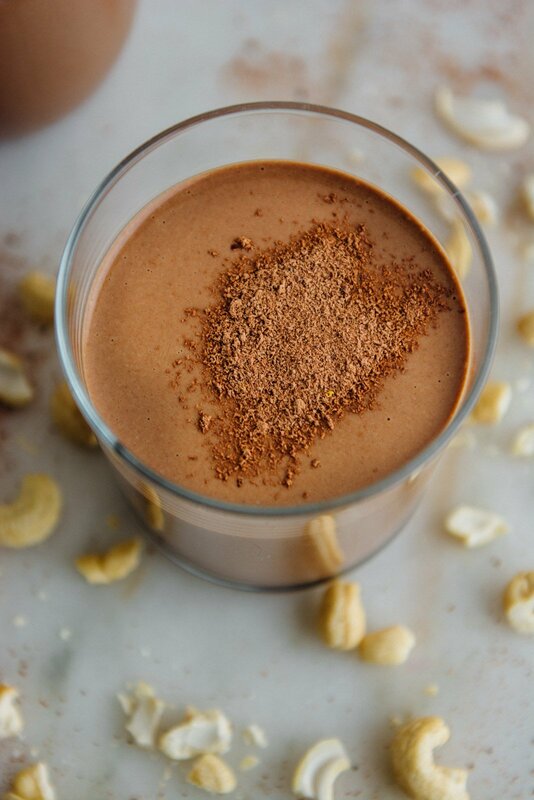 As long as you soak the cashews for the 6 hours it will work just fine in a regular blender. Without the soak the milk may be a bit gritty. Hope you like it! Update! Yes, it worked great! I added a pinch of cinnamon and a bit of vanilla. Yummy! Thank you!